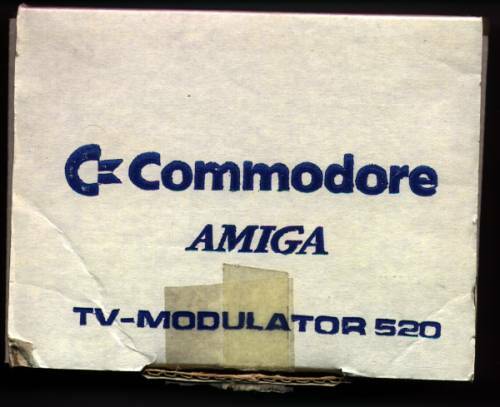 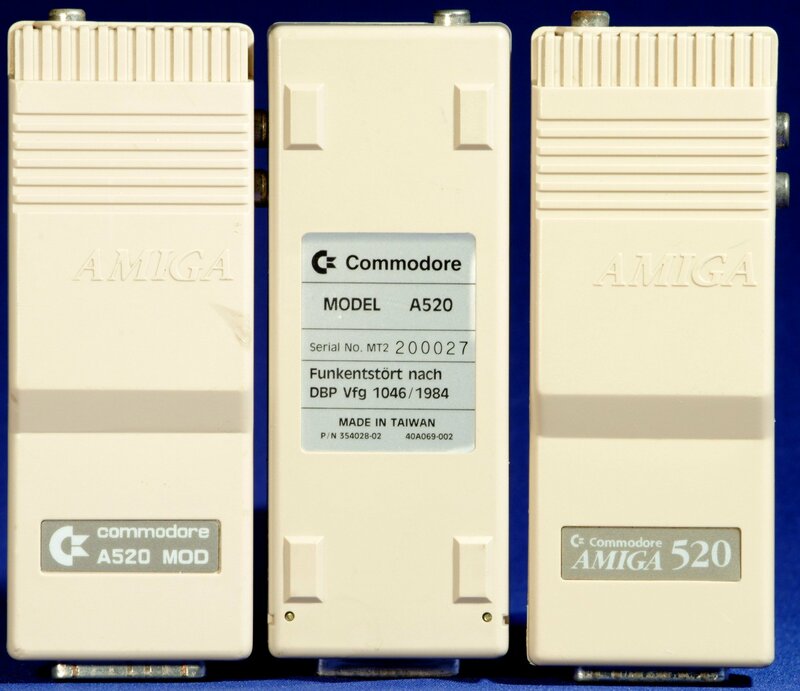 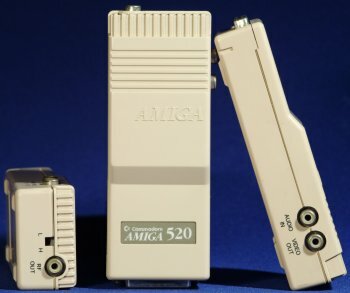 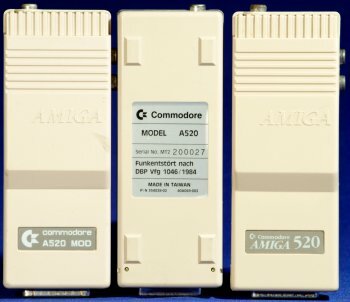 The A520 was a TV modulator that was generally supplied with the A500 series of machines but can be used with almost any Amiga. 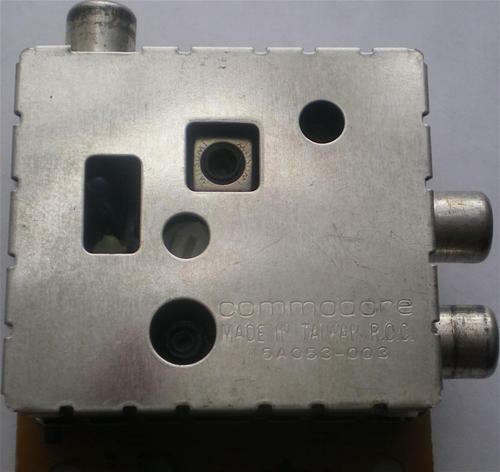 It converts the RGB port for use with a TV by supplying an RF (aerial lead) connector. The two audio outputs were also attached the modulator for sending the audio signals down the RF lead. Note that one of the phono connectors is video/ composit out. 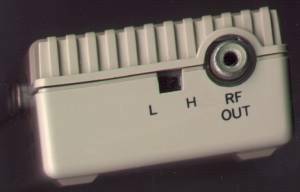 The L H switch is for switching between two slightly different frequencies in case it was causing or receiving interference from another device such as a VCR. 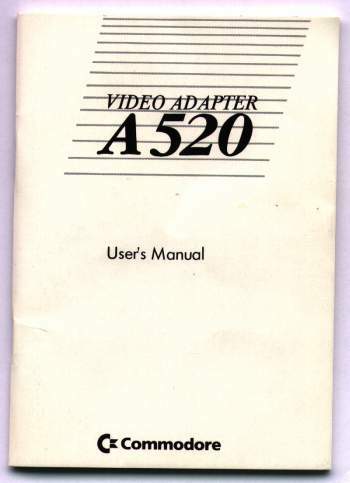 Page contributors: copyright_inc, Dagfinn Olsen, RiWa & Friends, Sébastien LIGEZ.